1. The cruise lines are betting you’ll pay more these days. The perks that loyal, return cruisers enjoy such as early embarkation, priority services, priority dining reservations, and more, are now becoming “for sale” to other cruisers. Cruise lines like Holland America Line and Royal Caribbean are creating programs where cruisers can purchase access to those benefits – and the demand shows that they know cruisers will pay. 2. Beginning in 2020, Carnival will sail from San Francisco for the first time. Not long after Carnival sends its upcoming ship Carnival Panorama straight to Long Beach from the shipyard, Carnival Miracle will reposition to San Francisco, allowing Carnival to make a more dominant presence on the West Coast and enter a new market to those looking to cruise from San Francisco. Carnival Miracle will sail a variety of itineraries to the Mexican Riviera, Alaska, and Hawaii. 3. 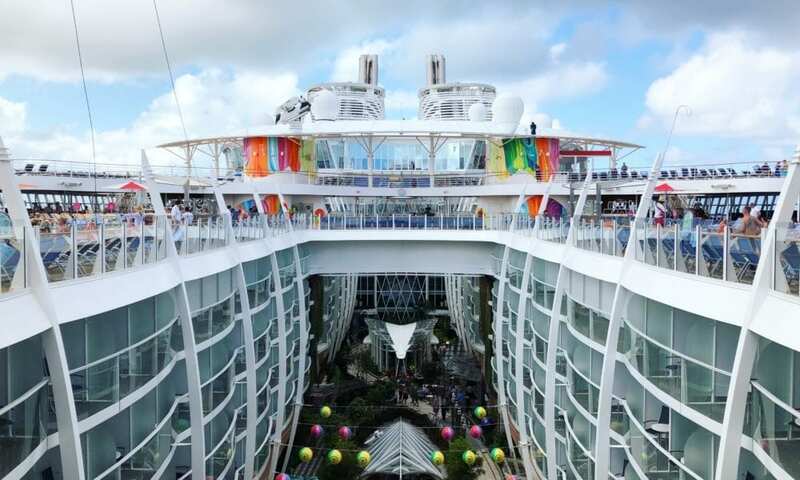 Royal Caribbean’s Empress of the Seas’ itinerary change led to a miracle at sea when the ship came upon Costa Rican fishermen who had been lost at sea for more than 20 days. Thankfully, the ship was in the right place in the right time to help get the men back on track. 4. Nassau is in the news yet again, as the cruise lines are coming together to help transform the port. Given the importance that Nassau holds in the cruise industry, it makes sense that the lines would partner together to ensure the port continues to draw an interest from tourists. 5. Carnival Corporation will be launching four ships in 2019. Between Carnival Panorama, Sky Princess, Costa Smeralda, and Costa Venezia, Carnival Corp. is set to have a big year next year, as these ships launch as part of the corporation’s fleet enhancement strategy – a program set to continue with ship deployments through 2025. Currently the largest cruise ship at sea and Royal Caribbean’s newest ship in the fleet, Symphony of the Seas has already made quite the impression, especially as a perfect ship for multi-generational families cruising together. From on-board activities to endless food options, there’s plenty of reasons to cruise Symphony of the Seas. We hear a review of Viking Sky, one of the ships in Viking’s ocean cruise fleet. The 14-night cruise called “Into the Midnight Sun” departed from London, journeying through the Norwegian Fjords and Arctic Circle. Viking is known for dominating the river cruise industry, but listen in to hear how it succeeds in ocean cruising as well. If it’s difficult to decorate your own house, imagine the logistics of decorating 26 cruise ships across a fleet. Check out a behind-the-scenes look at how the crew of Carnival Elation decorates the ship in one afternoon.